To reach customer excellence you need to offer your customers the best, seamless experience possible. This means moving towards a model of one point of contact for the customer or if not the same contact then the same experience across channels i.e. an omnichannel approach. Marion Armand is Head of Customer Excellence Asia Pacific at Merck where she is currently leading a transition to give customers a unified experience in the APAC region. 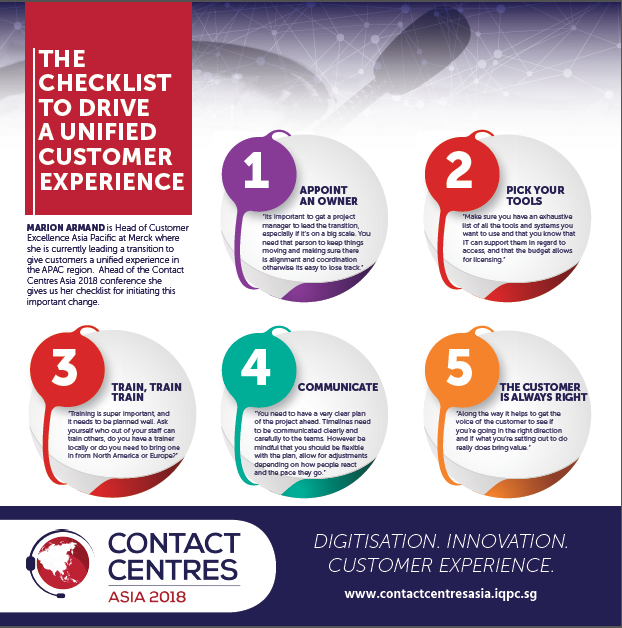 Ahead of the Contact Centres Asia 2018 conference she gives us her checklist for initiating this important change.